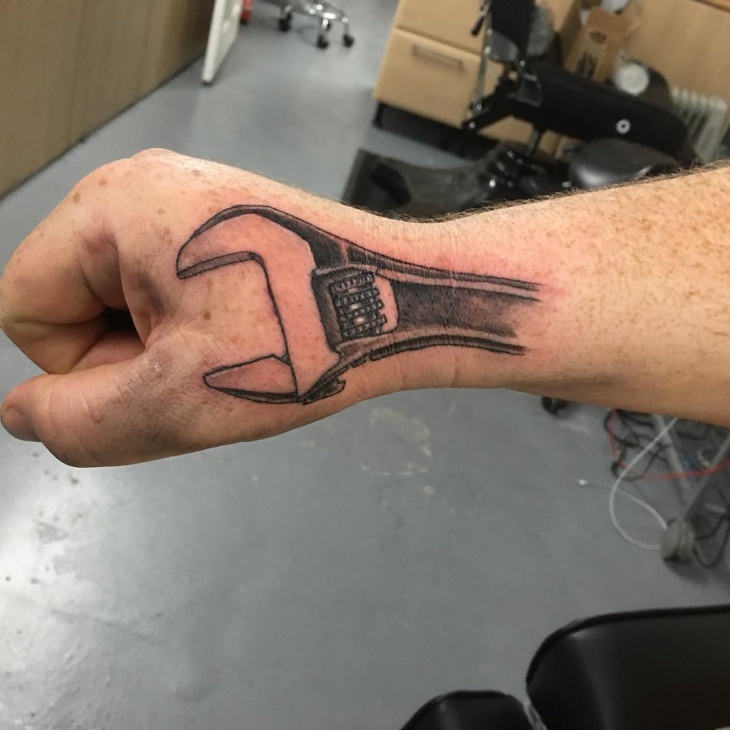 Body art for men’s tattoo design has reached its pinnacle. 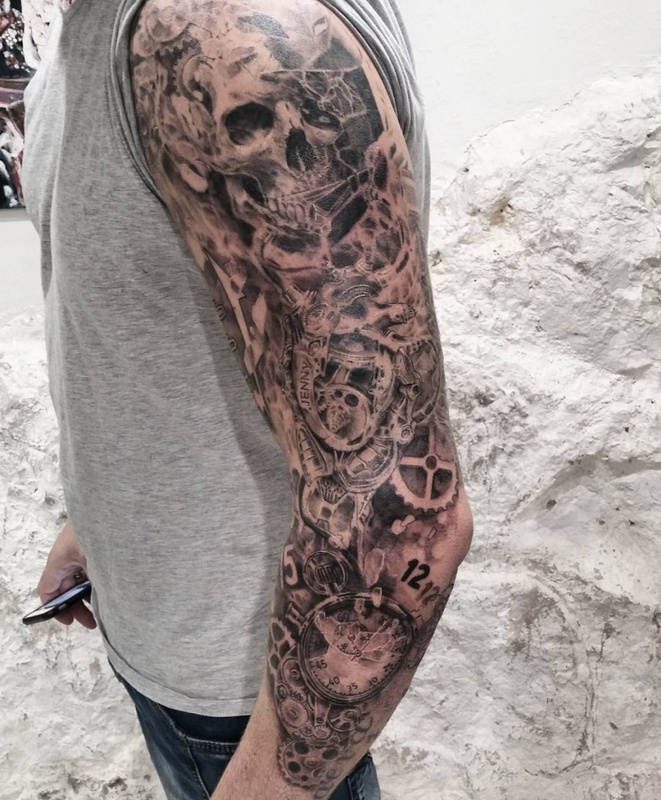 With the availability of mechanical ink, the body art has been transformed into a 3D design. Show off the potpourri of design elements, be it steampunk, cyber dog, or any of the sub-genres of rock and punk musical revolution. 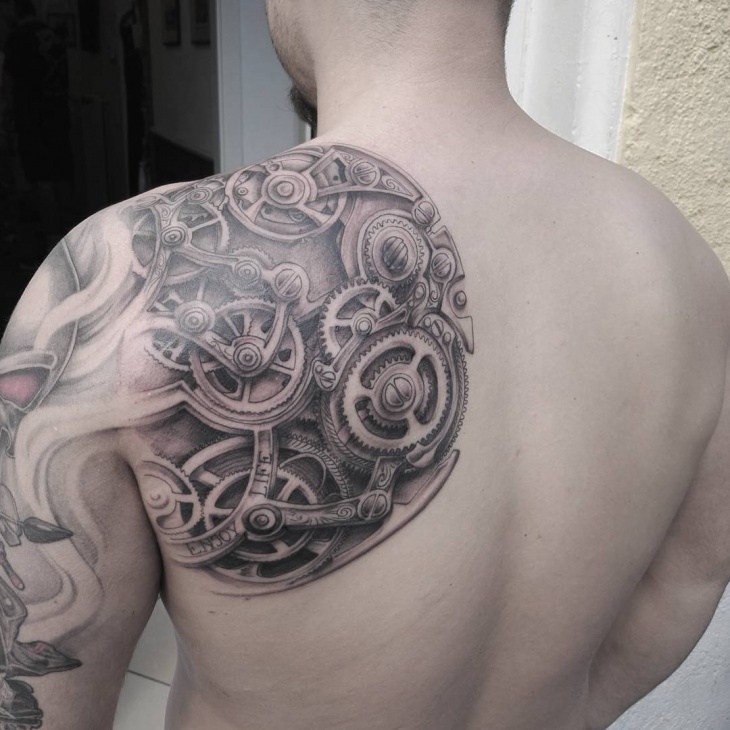 The steampunk tattoo makes your skin look like a canvas. This degree of artistry can make the skin look like it could turn you into a living terminator! Are you a garage punk, doused in grease and oil? 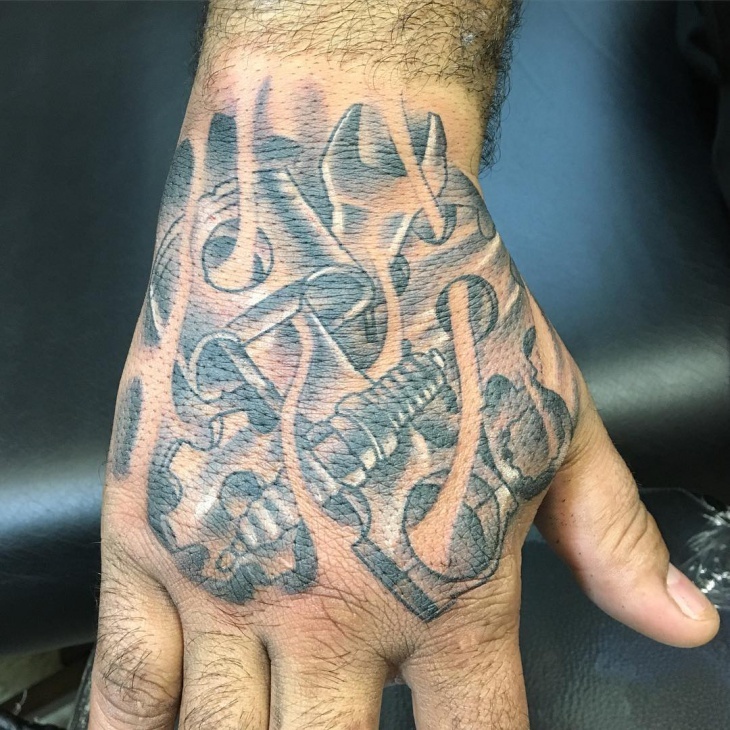 Wear your job on your hand with this mechanical ink. 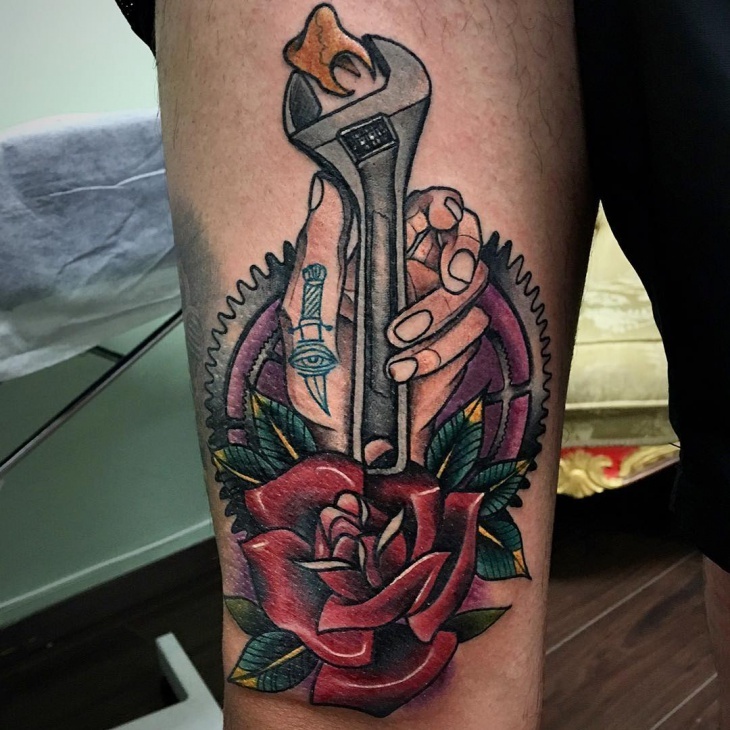 This tattoo has a wrench that fades in the end. 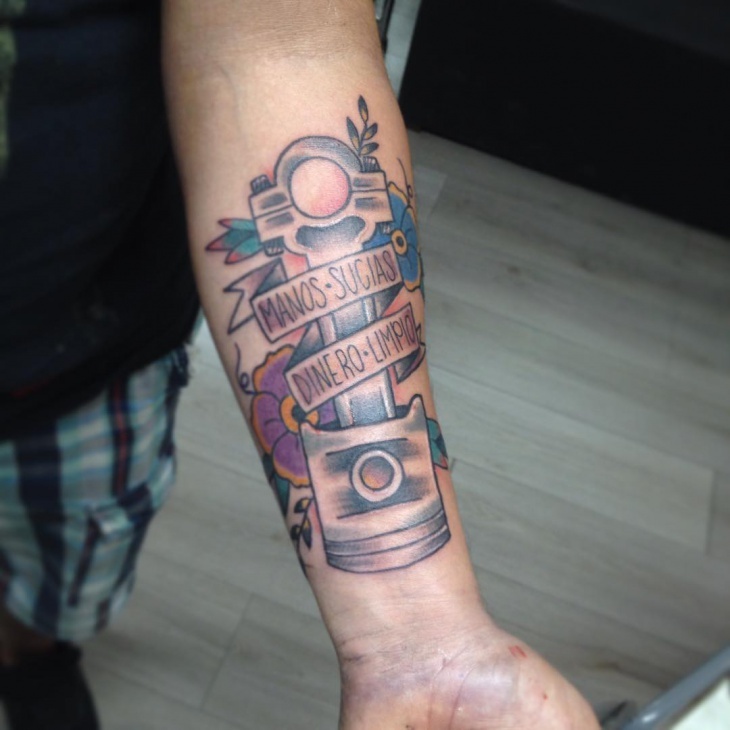 Get this tattoo if you pretty much breathe into the mechanics of the world. 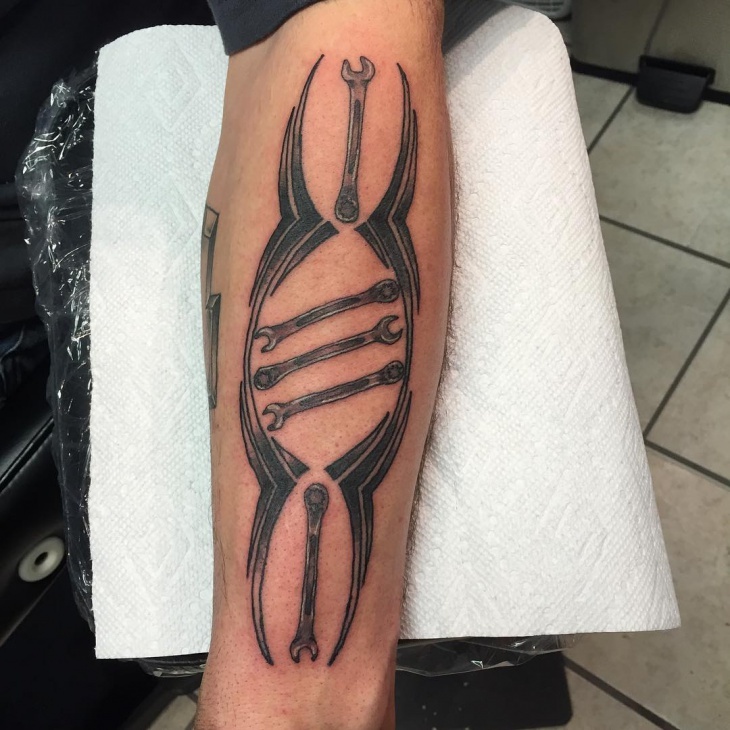 This tattoo design is a combination of mechanical wrenches crossing each other. The backgrounds of this are motifs of blue flowers and green leaves. 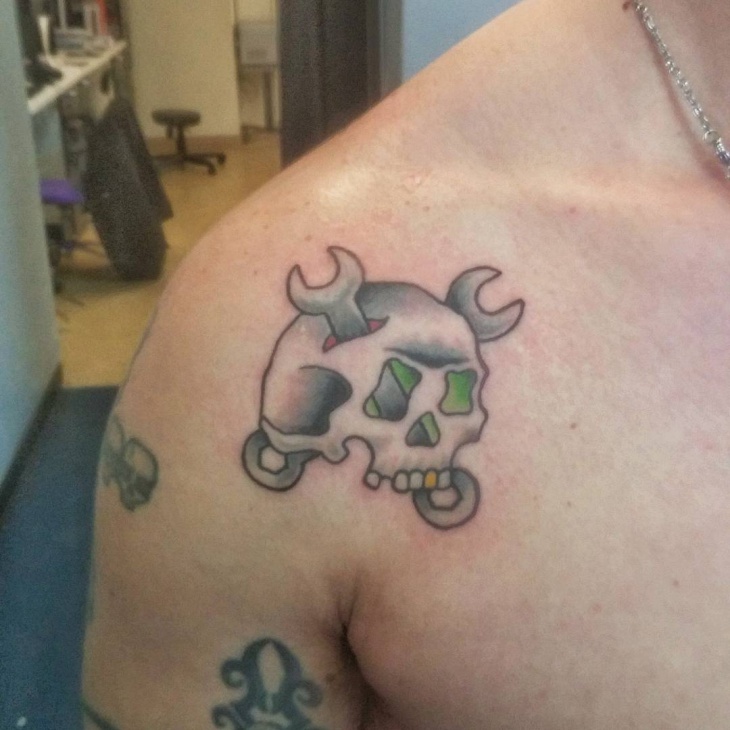 Are you a born motor head? Do you love the mechanics of cars and vehicles? 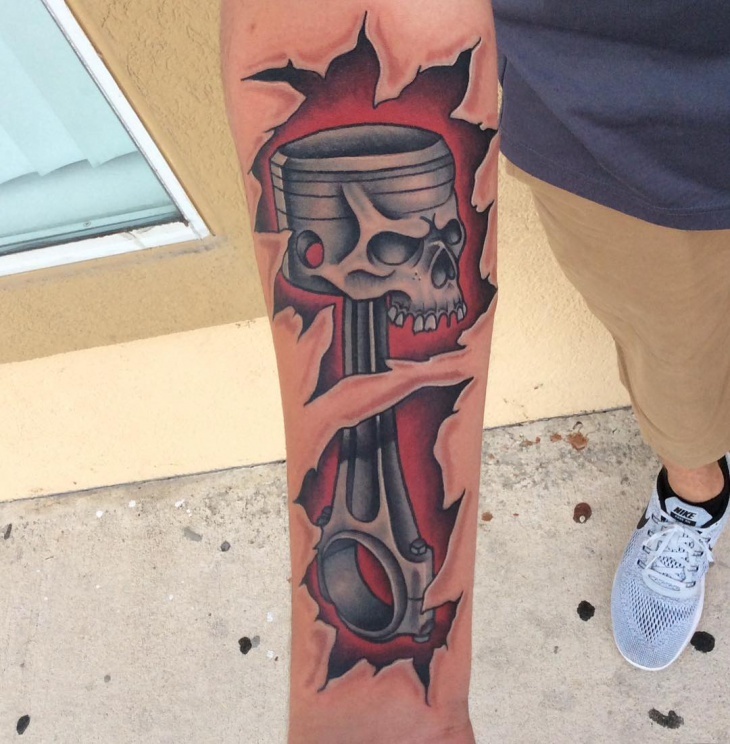 This tattoo can scream your love for diesel engines as it depicts the same. They are meant for those auto punks, who love tinkering automobiles. 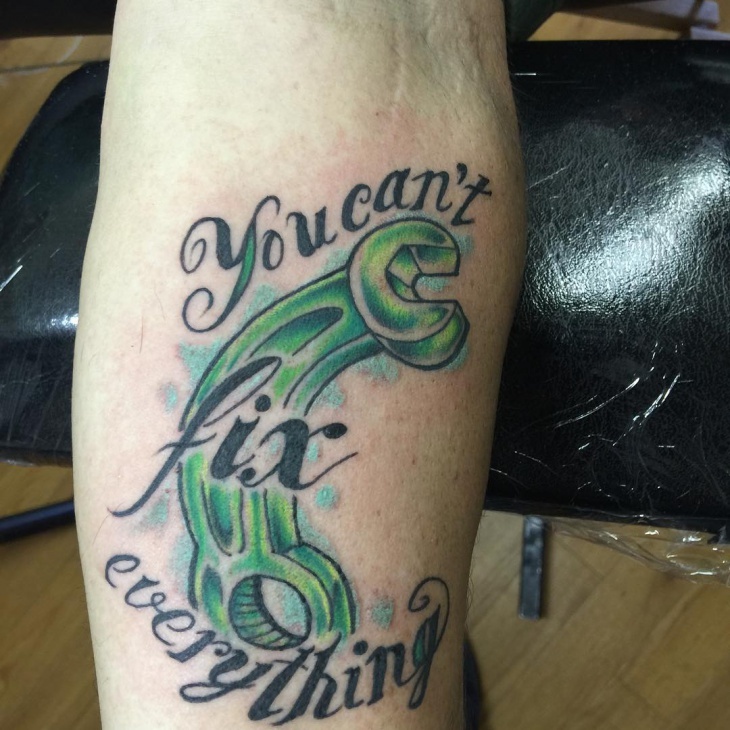 This tattoo has 3D effects. It looks like your arms is a terminator or a transformer in the making. 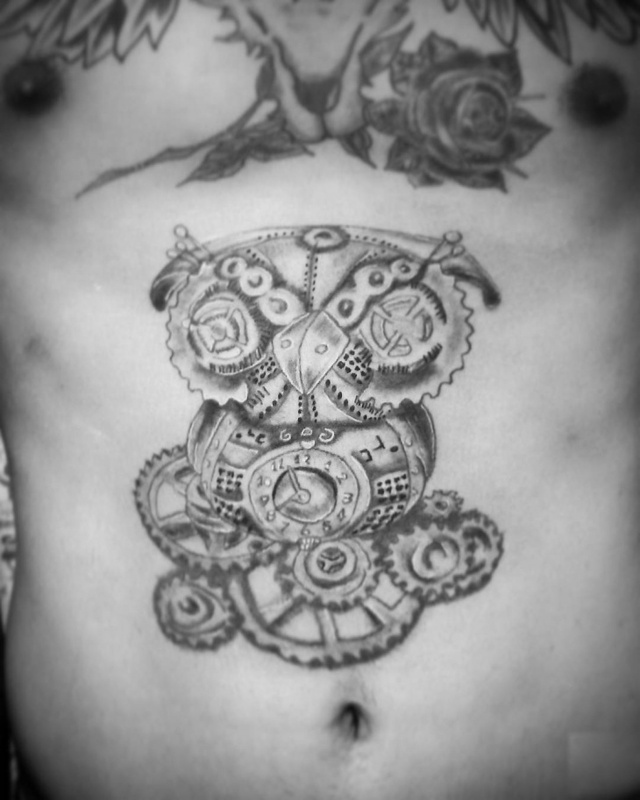 With nuts, bolts, and pipes sealed into the skin, type of design, it displays the same effect. 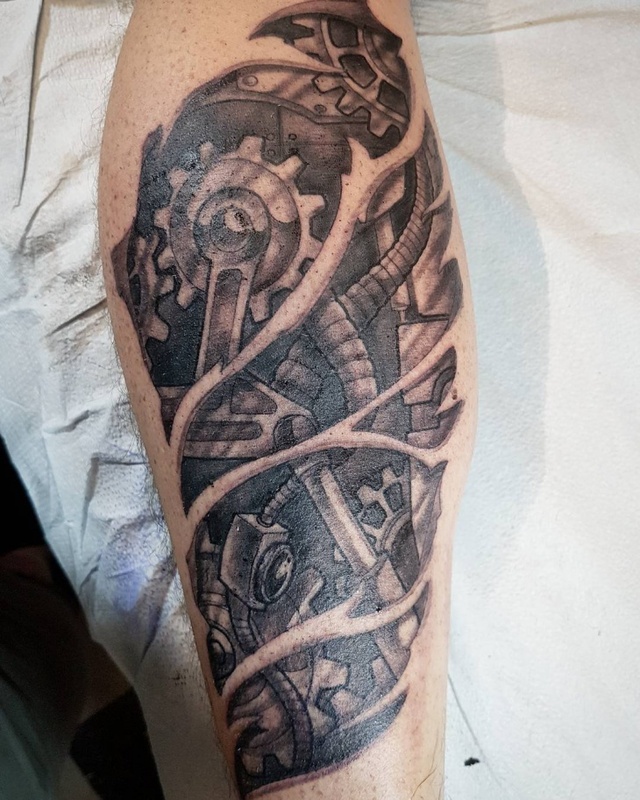 If you are a total mechanical geek, try this tattoo on! If you want to think of an alien tattoo, this is for you! 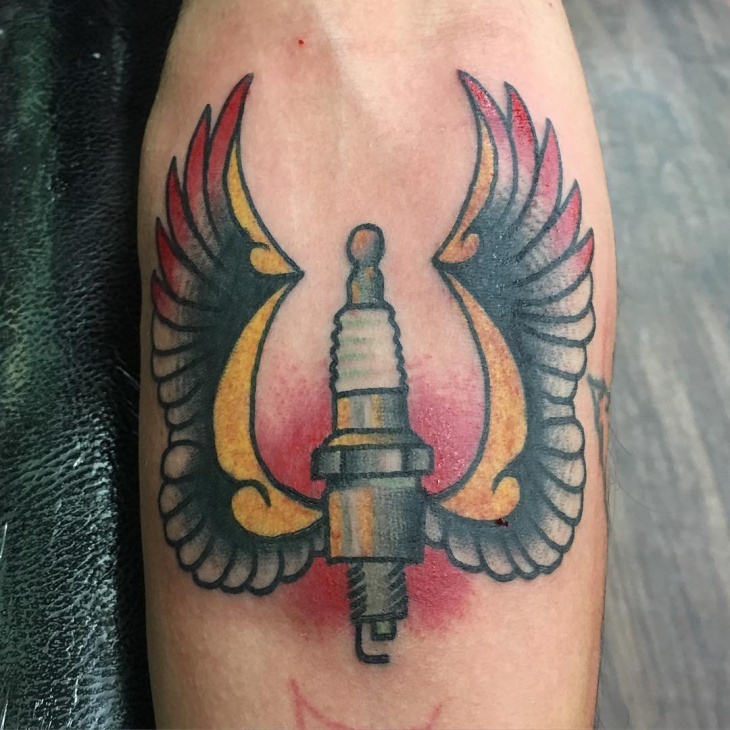 Eagle wings colored in red and yellow, hold on to a screw with threads. This is for someone with esoteric beliefs and a mechanical head. Looks good on young boys and not men! 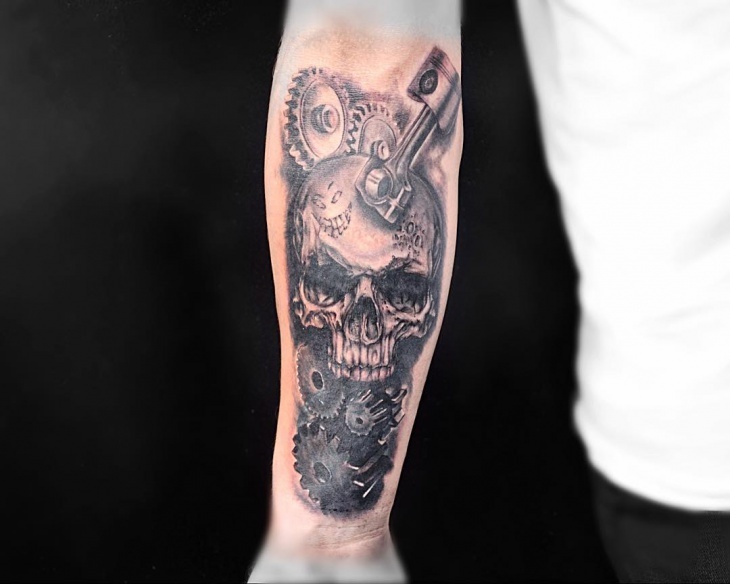 The gears and spanner motif in this tattoo in monochromatic artistry is ideally suited for the garage punk! The black shade with the leaf motifs thrown in makes it appealing. Men in their late twenties can wear this motif in ink. Do you love a cross that is fixed in nuts and bolts? 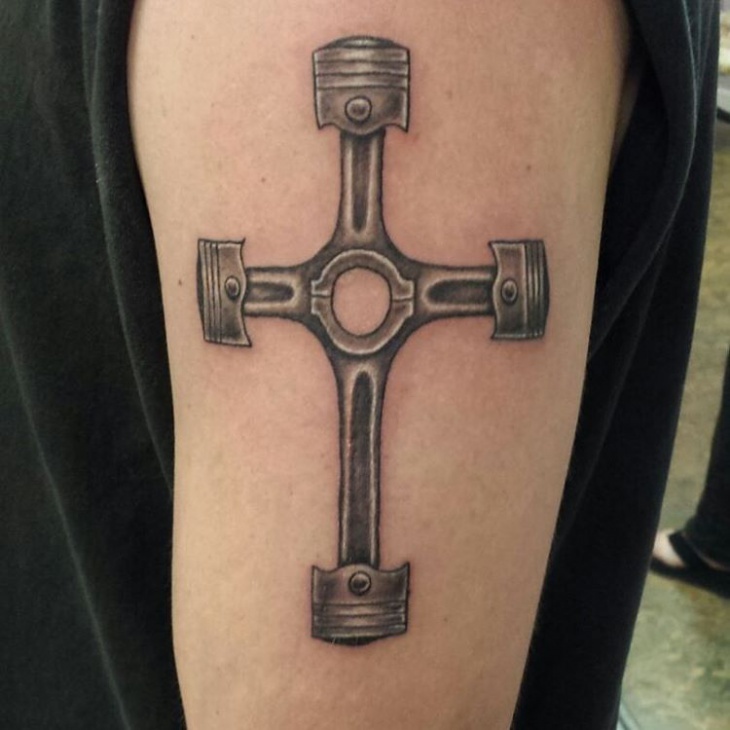 This symbol of Christianity designed in a mechanical sign for anyone who believes in the spirit of Christianity and loves their tools. 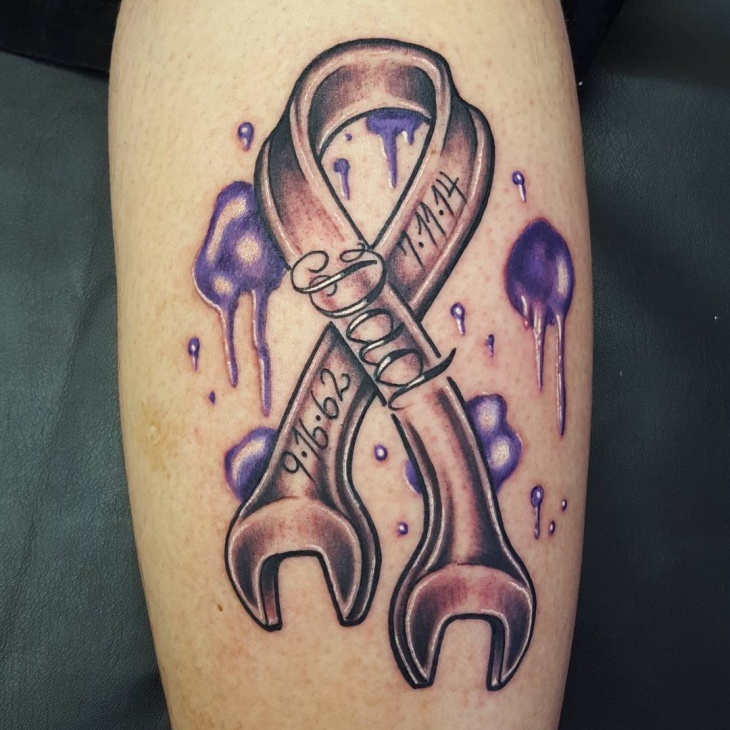 This tattoo is more suitable for young boys than men. 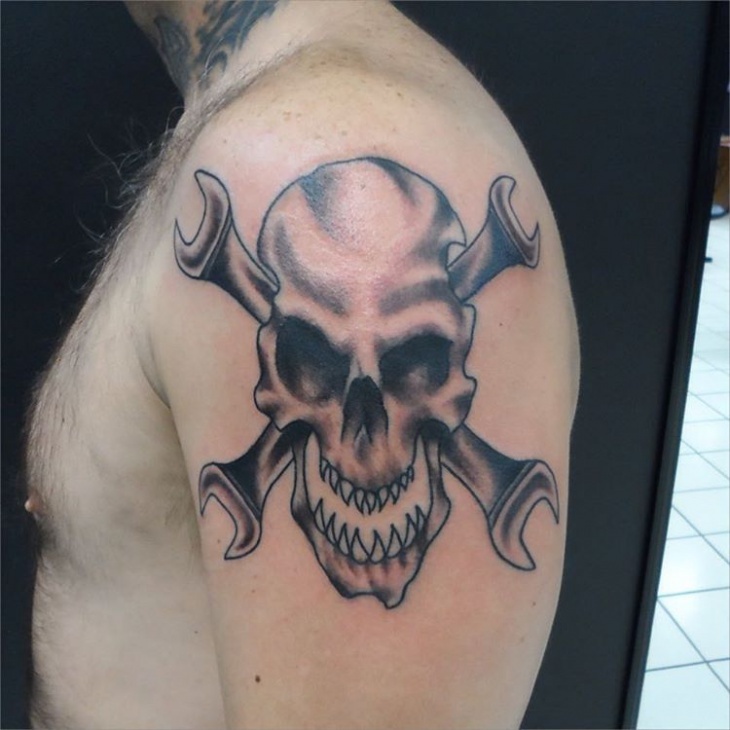 This design shows that the skin is torn making the skull tattoo design above the spanner visible. 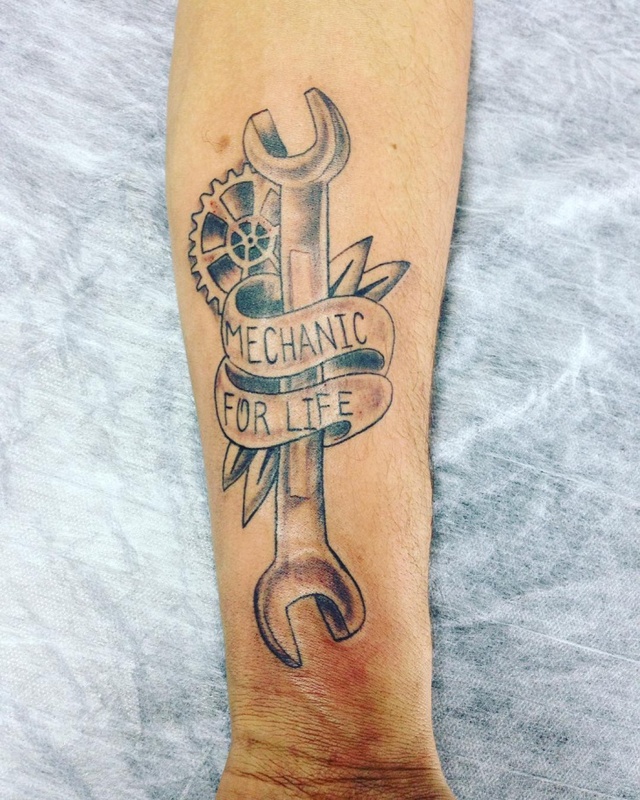 For men who are aggressive and feel the adrenaline rush in mechanics, can wear this tattoo. For the ska punks, this is ideally suited! 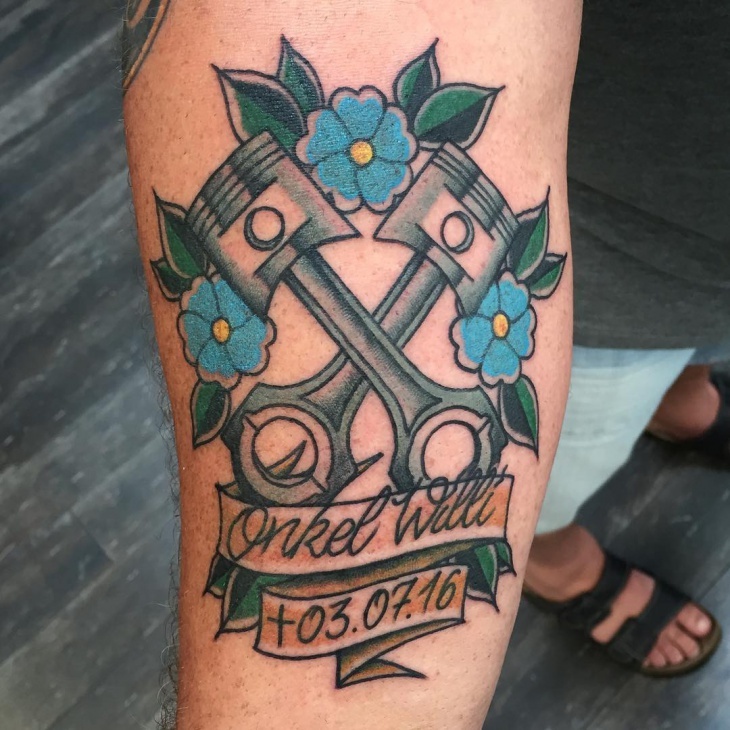 This tattoo has the design of an anchor posed in a 45-degree angle and wrapped in a rope. The coral background also has a flower and splashes of water design. This is good for the metro sexual punk, who can dare to show his androgynous side. 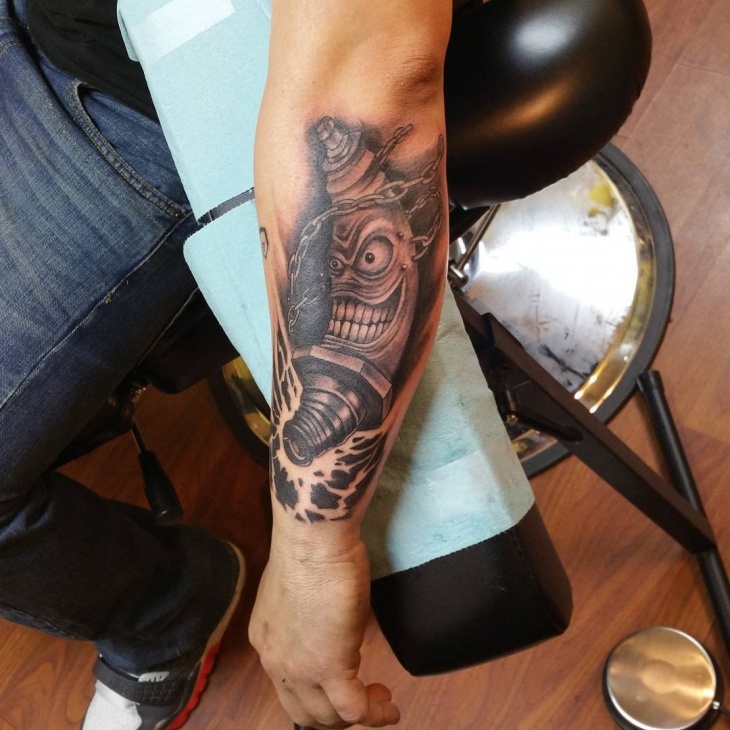 Realistic tattoos are possible when you use the mechanical ink and not the traditional style of getting inked! The sailor tattoo or a design of combined motifs gives a story to speak of in the form of this body art. These are futuristic designs that can never get out of vogue in the body art designs. Forget the floral and text that have the names of your beau. 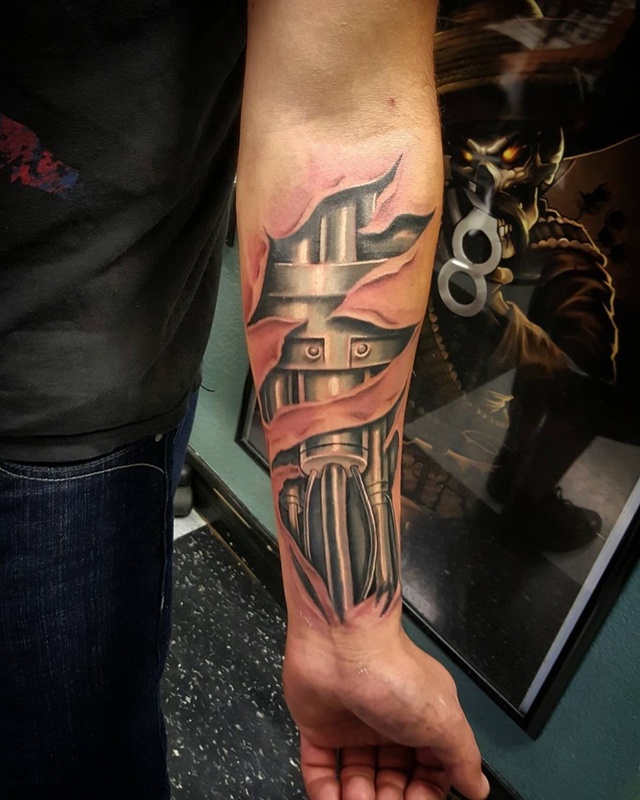 The futuristic fantasy art is an in thing and trending in men’s tattoos.